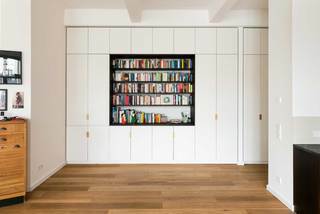 Design of a living-room cupboard and bookshelf. 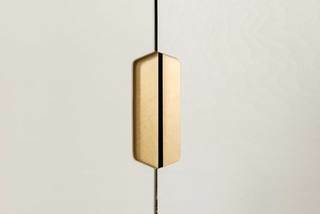 The cupboard houses a bar with a brass and mirror interior, accessed via a folding door. treated with a wax and oil finish.